Lwazi Bam was elected Chairman of the SAICA Board effective 1 July 2017. Lwazi Bam was initially appointed to the Board in July 2014 by the Senior Partners Forum. He was elected joint vice-chairman of the Board in July 2015 in which role he served for 2 (two) years before his recent election as chairman. He is a Trustee on the Thuthuka Bursary Fund Board, Director on the Thuthuka Education Upliftment Fund Board, and previously served on the CA Charter Council. He also serves on the Senior Partners Forum. He has more than 20 years’ experience in the profession and enjoys constructive engagement with various SAICA structures. Private sector perspective, vast experience in enhancing the profession, both regarding upholding quality and standards, and its contribution to the economy and overall development of the country. Afzal Khan has served on SAICA committees for more than 10 years and has a strong understanding of members’ needs and concerns. He was originally appointed to the Board in July 2014 by National Small and Medium Practices Committee. He was elected as joint vice-chairman of the Board in July 2016. Afzal Khan previously served as a Director on The Hope Factory Board. He is a SAICA Integritax Editorial Panel member, serves on the SAICA Southern Region Tax Committee and is a SAICA Southern Region Practices Committee member. Technically strong in taxation and as such brings those abilities to operational committees and Board meetings in terms of SAICA compliance. As a managing partner and business owner, he remains practical and simple in his outlook. Bradley van Dyk was initially appointed to the Board in July 2015 by the Eastern Region Council to occupy one of two seats on the Board representing this region. He was elected joint vice-chairman of the Board effective July 2017. Bradley van Dyk has more than 24 years’ experience in the profession, in public practice concentrating on auditing, accounting, and tax. He has served for more than ten years on various committees of SAICA. He is past president of the Eastern Region Council and currently serves as a member of the Eastern Region Council. Broad spectrum of service on SAICA structures over many years, and is excellently placed to encourage integrated thinking in terms of the achievement of well-devised strategic intent and key SAICA deliverables. Alan was appointed to the SAICA Board on 1 January 2018 as a co-opted member representing Information Technology. Alan is an entrepreneur in telecoms, media and technology and passionately chasing free WiFi for Africa. Alan was named as a Young Global Leader by the World Economic Forum in 2009. He was also included in “100 Choiseul Africa", a list of top 100 young African business leaders in 2014, 2015 and 2016, and nominated as the 2015 ICT Personality of the Year. Conrad de We was appointed to the Board in July 2017. He was appointed by the Southern Region to occupy one of two seats on the Board representing this region. Conrad de We has more than ten years in the profession and has an in-depth knowledge of the accounting standards, especially the South African Standards of Generally Accepted Accounting Practice (GRAP) applicable to the public sector. He is the President of the SAICA Free State Council and Vice President of the Central Region Council. 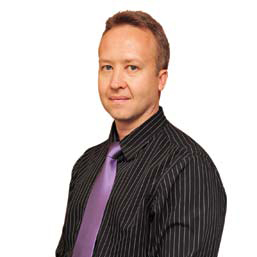 Conrad de We is Technical Manager at the Office of the Auditor-General (AGSA). Operational and technical knowledge from his experience in both the private and public sector. Christine du Toit was appointed to the Board in July 2017 to represent the National Small and Medium Practices at the Board. Christine du Toit has more than 20 years’ experience in the profession and has served on the regional and national SMP committee and the Southern Region Council. She serves as Chairman of the National Small and Medium Practices Committee. Brings forward-thinking, practical experience in the SMP environment as well as extensive training experience. 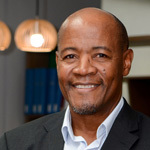 Nazeer Essop was appointed as an observer on the Board in July 2015 and co-opted as a member of the Board in July 2016 representing the public sector. Nazeer Essop has more than 20 years’ experience in the profession and has served for more than 10 years on various committees of SAICA. He is the chairman of SAICA Public Sector Committee and past chairman of the SAICA Pretoria Region Council Committee. Fanisa Lamola is the SAICA Executive Director: Corporate Services, and was appointed to the Board in March 2014 as an executive member. Fanisa Lamola has more than 20 years’ experience in various financial management and leadership roles, both in the private and public sector. She attends board meetings of SAICA entities in an invitee capacity. Valuable link between the SAICA Board’s strategic role and operational activities. Insights to the non- executive board members which enables the Board to make informed decisions. Vanuja was appointed on 7 September 2017 as one of two Eastern Region Representatives serving on the Board. Vanuja is the Corporate Executive: Audit at the Auditor General South Africa. Vanuja has vast experience in a professional environment over many years has believes that success can only be achieved through commitment, hard work and dedication. Hester serves as President of the Northern Region Council. Hester was appointed to the Board in July 2017 as one of two Northern Region Representatives serving on Board. Hester McClintock has 15+ years’ experience in the Auditing Profession. Shaun Osner is chairman of the Members-in-Business Committee. Previously, he served as deputy chairman of the SAICA Medical Schemes Project Group. Shaun Osner has extensive experience in corporate financial reporting, IFRS - applicable to medical schemes, investment strategy and corporate finance. 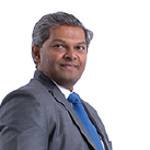 He has been responsible for the financial reporting of South Africa’s largest medical scheme for almost 15 years and has been involved in SAICA structures for more than 10 years. He was appointed to the Board in July 2015. He was appointed by the Members-in-Business National Committee to represent this constituency. In-depth knowledge of investment and business strategy and financial reporting. Sandile Phillip is president of the Southern Region Council. He is a member of the CA Charter Council. Sandile Phillip was appointed to the Board in July 2016. He was appointed by the Southern Region Council to occupy one of two seats on the Board representing this region. He has more than five years’ experience within the SAICA structures with great focus on youth-development coupled with commercial experience in Financial Services, Pension and Medical Schemes and FMCG. In-depth experience and passion for sustainable development, especially youth-focused. Dion Shango was appointed to the Board in July 2017. He was appointed to represent Large Practices at the Board. Dion services a number of large listed clients mostly within the mining industry. As a senior partner with 17 years’ experience, Dion has led engagements of complex and multi-country businesses. Strategic insights on stakeholder management, governance, knowledge of operational and financial issues, and relationship building capabilities. 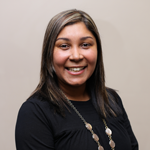 Kumeshnee Singh is currently the president of the SAICA Eastern Region Council. She previously served on the Eastern Region Council, Eastern Region APTEC Committee and National Medical Scheme Project Group. Kumeshnee was appointed to the Board in July 2016 by the Eastern Region Council to occupy one of two seats on the Board representing this region. She has more than 15 years’ experience in the profession and has served for more than eight years on various SAICA committees. Provides valuable insights and perspectives in private and public sectors. Jacobus Swanepoel is the president of the Central Region Council. He served as a director of the Thuthuka Education Uplfitment Fund Board. 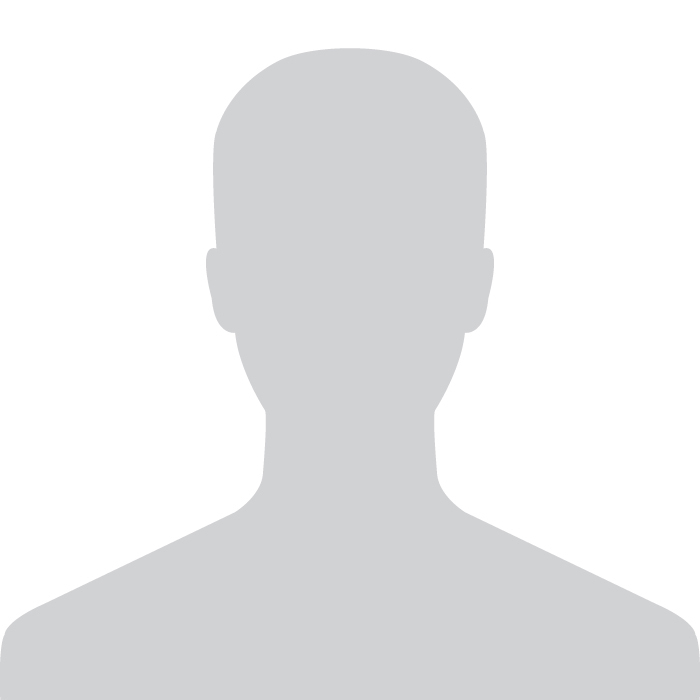 He is a member of the Initial Professional Development Committee. He is actively involved in professional development at different levels. Jacobus was appointed to the Board in July 2016. He was appointed by the Central Region Council to occupy one of two seats on the Board representing this region. 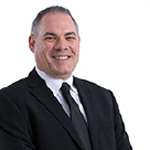 Jacobus Swanepoel has more than 25 years’ experience in the profession and has served for more than 10 years on various committees of SAICA on a regional front. Strategic and operational insights. As an academic he also plays a major role in professional development. Thandeka Zondi was appointed to the Board in July 2014 by the Association for the Advancement of Black Accountants of Southern Africa (ABASA) to occupy one of two seats on Board representing this association. 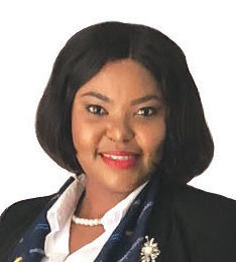 Thandeka Zondi has 13 years’ experience in the profession in the public and private sector as well as in entrepreneurship focused on strategy, governance and transformation. She has significant exposure to a variety of entities from listed to unlisted organisations as a board member and chair of Audit Committees. Provides public sector and private sector strategy leadership and governance, transformation best-practice, and multi-industry board experience. Anine Pheiffer was appointed to the Board in May 2018. She was appointed by the Southern Region Council to occupy one of two seats on the Board representing this region. 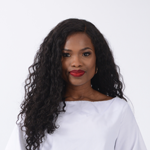 Zama Khanyile was co-opted to the Board on 13 April 2018 as nominated by the African Women Chartered Accountants (AWCA). She is the president of the African Women Chartered Accountants (AWCA). Thembelihle serves on the Northern Region Council. Thembelihle was appointed to the Board on 14 February 2018 as one of two Northern Region Representatives serving on Board. Freeman Nomvalo is the Chief Executive Officer of SAICA and was appointed 1 February 2019. Freeman Nomvalo is a director in various companies. He recently closed a deal to acquire an HVAC group of companies with his business partners. He is engaged in efforts to commercialise a new and potentially disruptive transport and logistics technology, South African invention, which will place South African innovation on the world map. With over 25 years working experience 17 of which were at senior level both in the public and private sector. Mr. Nomvalo was the first African and longest serving Accountant-General of a democratic South Africa. Brings extensive knowledge and track record in the public finance and government processes.